The origin of science in ancient Kazakhstan dates to antiquity. Archeological research and written sources contain information on the culture of cities and colonies existing in the 6th-11th centuries on the territory of Zhetisu, Central and East Kazakhstan. The founders of this culture were native (local) Turkic tribes: oguzy, karluki, kimaki, and kypchaki. As a result of the strengthening of the influence of the Arabian Halifat in Central Asia and Kazakhstan, in the 8th-11th centuries Islam extended its influence, along with Arabian culture. Arabian language on the Halifat's territory became prevalent; however local culture and language were preserved. Many scientists, natives of the countries conquered by the Arabs, took an active part in the development of Arabian culture. Medieval cities were famous all over the world not because of their markets and handicrafts, but for poets, scientists, artists, great libraries, and educational institutions. Otrar city, located on the Great Silk Road which had important geographic and economic value and led from China to Europe, had a special significance. The Farab library was the largest storehouse of wealthy manuscript literature, even compared with the Alexandrine library in Egypt. The great scientist Abu Nasr Al Farabi was born in Farab city. His scientific heritage is contained in more than 100 literary works. In the Karahanid state, existing in the 10th-11th centuries on the territory of Kazakhstan, the outstanding poet and thinker Jusuf Balasaguni created his literary works. His work "Kutadgu Bilig" ("Beneficial Knowledge") became known in many countries. Already in those days, an exceptional contribution by Eastern progressive thinkers in science and culture had been recognized by Europe. This has been testified to by translations of Eastern scientists' and thinkers' literary works, which gained wide spread dissemination in the 10th-12th centuries in France, Europe, Spain and other states. At the end of the 17th and beginning of the 18th centuries, scientists of Russia and several countries of Western Europe began to research Kazakhstan's territory, and study its history, culture, life and the customs of its population. The first fundamental work on the history of the Kazakh "Description of Kyrgyz-Kazakh or Kyrgyz-Kaisak hordes and steppes" (1832) had been created by A. I. Levshin. Sh. Valikhanov had named him "the Kazakh nation's" Herodotus and his monograph is considered an invaluable scientific property. Well-known Russian researchers P. P. Semenov-Tyan-Shansky, N. M. Przhevalsky, and G. N. Potanin made an important contribution not only to the study of the land but also to the creation of democratic scientific thought in the latter half of the 19th - beginning of the 20th centuries. This research and also that of V. V. Grigoriev, N. F. Kostylezky, E. P. Mikhaelis, P. E. Makovetsky, and A. A. Blek exerted great influence on the spiritual formation of Kazakh democrats like Sh. Valikhanov, Y. Altynsarin, and A. Kunanbayev. By 1932 there were more than 10 research institutes, about a hundred base stations, laboratories and weather stations, and several geological survey organizations. The Kazakh Base of the Science Academy of the USSR, was created on 8 March 1932 with zoology and botany branches operating there. In 1935, the Kazakh Research Institute of National culture, including Kazakh language and literature and folk arts branches had been placed under the authority of the Kazakh Base of the Science Academy of the USSR. At that time, the Almaty Botanical Garden laid its foundation, and medical science was developing. During the War, plenty of scientific institutions and institutes of higher education were evacuated to the Republic. World-famous scientists were working there, such as I. P. Bardin, L. S. Berg, V. I. Vernadsky, N. F. Gamaleya, I. I. Meshaninov, N. D. Zelinsky, L. I. Mandelshtam, N. V. Tsitsin, S. G. Strumilin, A. M. Pankratova, A. E. Favorskiy, S. E. Malov, V. G. Fesenkov, G. A. Tikhov, B. A. Vorontsov-Veliaminov and others. These scientists made a number of suggestions of great value for defense and pertaining to the national economy, discovering deposits of ferrous metals, molybdenum, tungsten, manganese ore and others. In 1942 were organized the Institute of astronomy and physics and the Institute of metallurgy and chemicals, and in 1943, the Institutes of soil science, botany, zoology and tropical diseases. From 1942-1945 the specialized Institute of chemistry, metallurgy and mining, fireproof and building materials, and zoology was established. The year 1991 was the beginning of new period in the development of native science. The law "On scientific and technical politics in the Republic of Kazakhstan" was passed 15th January 1992, and in the same year the Ministry of science and new technologies was founded. Since 1993 state expertise of scientific and technical programs, which are financed with public funds has been supported. A unified procedure of the registration of reporting documentation by development of structural and technological works in the republic has confirmed the legislative basis of financing scientific-technical and experience-structural works. The results of this work, which have been conducted in the scientific-technical area, were exhibited in Astana in February 1998. Projects of government programs on the development of mechanical engineering, atomic industry and energy in the country, as well the conclusion of development of a mining and smelting complex in republic were completed. For the first time native computers and a series of electronic equipment of industrial and ordinary application had been produced. The scientists of the republic made their contribution in ensuring the processes of public administration. The history of Kazakhstan and Kazakh philosophy has been explored since ancient times. New philosophy and methodology of science has been created in the context of the mixing of eastern and western cultures. The development of constitutional processes in the Republic of Kazakhstan, Eurasian fusion and geopolitics has been explored, population forecasts made. The hundred years anniversary of academician K. I. Satpayev was included in the register of jubilees conducted under the support of UNESCO. An international scientific symposium dedicated to this event was held in Paris 15-23 April 1999. The exhibition "The scientists of Kazakhstan: from the past to the future: was also organized. Investigations of science, which have been conducted in the last few years, have been directed at the competitive capacity of native science and technology. In order to create projects associated with the restructuring science of the scientific base, the increase in efficiency of the use of natural and mineral resources, production of new materials and products, improvement in processing of human and industrial waste, stabilization of the operations of the mining and smelting complex, and use of molecular and cellular biology in biotechnology, medicine, agriculture, communications, and atomic energy. The years of independence have been characterized by new methods of science and science administration, creating favorable conditions for scientists' work, the training of a new generation of scientific personnel, and searching for an effective systemic fusion of education and science. If we examine the Middle East, we can see that education was introduced from other states, sometimes because of a higher grade of social development or because of conquering armies, which subjugated most of Kazakhstan, Uzbekistan, and Turkmenistan. In the Pre-Islamic period educational and scientific centers were established by emigrants from the West. As a result of the Arab conquests (beginning in 651), Islam became the dominant religion in the region and, accordingly, the Arabic language and alphabet became standard. For many centuries reading, writing and education were the prerogative of the elite, a necessary prerequisite for working in government administration. So, in the 8th-9th centuries in official documents and literature, the hegemony of Arabic language was established, which was companion of and guide to Islam. It is possible to draw an analogy with Latin, which was a ubiquitous feature of culture and education, introduced to Western Europe through the Catholic Church. During this era, Islamic schools appeared and grew in the region. The Medieval schools of the Muslim world can be divided into two types: Maktabs (Dabristan) and Madrasahs. A Maktab is a primary school attached to a mosque; a madrasah is a type of secondary and high school. Only boys were allowed to become literate. Medieval Islamic schools had much in common with each other, though they greatly varied in their standards of education. They showed social distinction, as well as the evolution of the development of this type of school. One of the first rate Madrasah was established by the famous astronomer Nizamal-Mulk in the latter half of the11th century in Baghdad, with government support, with salaries for teachers and grants for pupils. 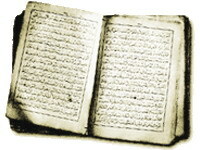 In Iran and the Central Asian lands of the Arabian caliphate existed prohibitions on the translation of the Koran from Arabic into other languages. This prohibition was observed for centuries. Tabari translated the Koran into Persian in the 10th century, but his book was banned. Central Asia and Kazakhstan were invaded from the East by the immense nomadic armies of Genghis Khan in 1219, and carts with warriors' families followed them. Thus, a new period in the history of the Kazakh steppes had begun. During the 15th-16th centuries the most well known Madrasahs were in Bukhara, Samarkand and Tashkent. These Madrasahs, which have been treasured since their creation, today are considered monuments of architecture. The Kazakh and Kyrgyz nationalities formed on their respective present territories during the 16th century. Subsequently, diplomatic and trade relations with the Russian Empire became stronger, leading to the next stage of development of the education system and the spreading of literacy. The history of secular Kazakh schools began in 1789. The first such establishment. "Asian College", was opened in Omsk. This town was the center of administration of the northern regions of present Kazakhstan. In 1825 the Nepluev School was created, and in 1844 it was re-organized as a Military School. A seven-year school attached to the frontier committee of Orenburg opened in 1850. The teaching of Islam had prevailed there, but subsequently the curriculum was extended. Russian history, mathematics, geometry and geography were introduced in 1859. Altynsarin studied in this school. Teaching was carried out in Russian, but Tatar was studied too. The first woman's school for Kazakh girls opened in 1883. In this period the Vernen men's preparatory school began operation. Obligatory subjects were mathematics, physics, logic, history, Russian language and literature, and religion. There were four languages taught: new - German and French; and classical - Greek and Latin. In addition, singing, drawing, sketching, calligraphy, gymnastics and dance were taught. Occasionally, educational hikes around Lake Issyk Kul, Almaty and Lake Issyk were arranged. However, the general education system had been kept unproductive. Before the revolution, the literacy rate averaged a few percent in Kazakhstan. In 1916, the number of pupils in Kazakhstan averaged 164,859. At the beginning of the 20th century, intensive development of education and pedagogical science began in the region. A new generation of enlighteners appeared on the public scene. They evolved the materialistic opinions of their predecessors, and introduced new ideas in the area of teaching. The realization of a broad program of economic and social reorganization in the former outlying districts of the Soviet Union began after the establishment of Soviet power. By the 1940's illiteracy in Kazakhstan had been eliminated, and a new school of general education for the entire population was created in place of the old country schools. Elementary, vocational and high schools began to operate. Publishing had an important significance in the development of pedagogical science. In 1919, the Bukeev branch of the People's committee published "Mugalim" ("The teacher") pedagogical magazine. Published articles emphasized the high prestige of educators and parents, and the educational opinions of Aristotle, Socrates, Z. Z. Rousseau, L. N. Tolstoy and many others. This first published work promoted the creation of the first Kazakh schools. In 1928 the Pedagogical Institute, where training of specialists for schools of general education and secondary schools was carried out, was founded. The idea of general literacy was promoted as the first and foremost challenge or graduating students. Cattle-breeding districts of Republic had waited for the opening of The Veterinary Institute in 1929 impatiently. The Capital of Kazakhstan experienced a rise not only in terms of the national economy. It was a time of the development of social art. Musical, Choreographic and dramatic arts schools opened in Alma-Ata city in 1930. The Institute of Agriculture opened its doors in 1930. In 1931 the State Medical Institute began training high quality specialists in occupations with good job opportunities. Pediatricians, therapists, surgeons and doctors of particular specializations mastered all the subtle skills of their respective fields, drawing on Russian and foreign clinicians' experience. The Kazakh Republic Technical School of physical training, which became a favorite in student circles, has operated since 1932. 1934 was the year of the grand opening of Kazakh State University. The famous history of this institute of higher education's activity became the model for a whole era of education. Kazakh State University was the first to provide brainpower and scientific elites to the Kazakh Republic. The Artistic School received its first students. Young people were enlightened with the knowledge of the history of world arts and the practical skills of applied artistic creations beginning in 1938. A group of writers and scientists created original textbooks for Kazakh schools from the 1920's to the 1940's. Teachers training college of foreign languages in Almaty was created in 1941. Kazakh womens' teacher training college was created in 1944. Liberal arts education was offered to future teachers, musicians, choreographers, psychologists and speech therapists. At the same time, the Kazakh State Conservatory began enrollment of musicology and performing arts faculties. For the first time in the conservatory were heard the sounds of piano, fiddle, flute, kobiz and dombra, bayan and balalaika. The choral part of the Conservatory found talented, promising students. The Kazakh State Institute of Physical training was opened in the last year of world war two. Since 1957, the State has organized boarding schools for children from broken families and those with poor health. In 1963 the Institute of national economics, which promoted the ideas of the progressive period in the history of socialism, was created. Students of the Institute received knowledge of economic and social sciences. The Energy Institute of Almaty has provided education for electrical engineering specialists for the needs of the national industry and municipal services since 1975. In 1976 the Institute of railway transportation engineers of Almaty began education of engineers on vitally important areas of transportation engineering. The Institute of Artistic Theatre for creative youth was created in 1978. There were trained specialists for national theatres, Kazakh cinema and television, and artistic and choreographic arts, which are famous all over the world. The Architectural and Construction institute of Almaty started its education of students in 1980. This institute turns out architects, creators, designers, builders and engineers. Eminent statesmen have made definite contributions to the development and formation of education and science in the republic, such as S. Asfendiyarov, S. Zhandosov, T. Zhurgynov, S. Mendeshev, T. Ryskulov, N. Toreculov, I. Omarov and others, greats of Kazakh literature, such as M. Auyezov, S. Seyfullin, I. Zhansugurov, B. Maylin, S. Mukanov, G. Musrepov, G. Mustafin; art and science workers: A. Zhubanov, S. Amanzholov, E. Bekmakhanov, M. Gabdullin, S. Zhienbayev, A. Margulan, K. Satpayev, D, Tursunov, M. Khamraev, and others. of OrexCA.com and KTA and KAGIR. Information has been taken from the "All about tourism in Kazakhstan"